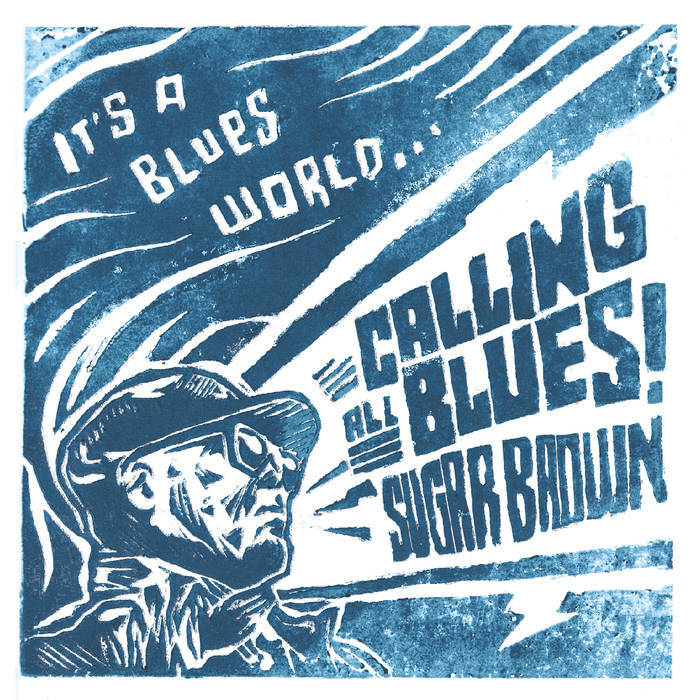 I just had the opportunity to review the most recent release, It's A Blues World. from Sugar Brown and it's real cool. Opening with up tempo shuffle track, Hummingbird, featuring Sugar brown on vocal and guitar, Rockin' Johnny Burgin on guitar, Michelle Josef on drums, and Russ Boswell on bass. Cool opener. Love Me Twice has a great rhythm and signature Johnny Burgin guitar soloing. Really nice. With the addition of banjo by Nicol Robertson, Minnie Heart on fiddle and Julian Fauth on piano, Lousy Dime has an interesting rural feel and classic lines . One of my favorites on the release. Another of my favorites is title track, It's A Blues World, with a classic House of the Rising Sun progression. Subtle guitar riffs by Burgin, coupled with SB's vocal and harp, along with clean piano work by Fauth give this tack just the right balance. Out Of The Frying Pan has a strong rural blues feel with raw amplification on guitar and vocal giving the track a real authentic feel. Very nice. Rockin' track, Those Things You Said, sits in the groove with only guitar and drums under the vocal making it another strong top contender. Rockin' boogie, Looking For Two O'clock has a solid vocals and snappy beat with lofi guitar riffs giving the track an early 60's sound. Dew On The Grass has a real nice swing with piano rolls by Fauth, bari sax by Heart cool guitar riffs by Burgin and a high impact drum feel from Josef. Wrapping the release is Brothers, a rural country style blues with just over basic backing over acoustic finger picking by Brown and Burgin complimented by Heart and Robertson. Cool Closer.